Anyway, what do you guys use or prefer and why? I went from promash to beersmith2 just recently, I like it well enough and there is alot you can do with it once you get use to it. Promash hasnt been update since 2003 and from what i hear never will so eventually it will go by the way side, so I switched. I use Brewer's Friend and have found it extremely accurate in predicting gravities when designing recipes. I also like the yeast pitching calculator on Brewer's Friend as it can calculate up to three step-ups on a starter. Its also free to save up to five recipes. I've never used BeerSmith but a friend that uses it says there's a lot of calculations you can do with your mash. Beersmith for recipe calculations. Bru'n Water for water calcs and Brewersfriend for yeast pitch calcs. All wonderful tools. What an awesome time to be a homebrewer. So much great information at our fingertips. I've been using Beersmith 2 for about a year now and I have to say, that I love it. It has more bells and whistles than I will ever use, but it's fantastic for building recipes and scaling as well. I'm a huge fan. I use Beersmith 2 as well and really like it. Great for recipe creation, completely manageable in terms of being able to edit ingredients, add, keep and track inventory, play with mash schedules, create brew day sheets, brew day timers with alarms, print comp sheets, etc. i use ibrewmaster on my iphone and ipad. i love it. i tinkered with many of the other online systems, promash and beer smith, but i like having everything on my phone. i run into other brewers and it is kind of nice to pull up a picture, recipe, batch etc right away. i run into other brewers and it is kind of nice to pull up a picture, recipe, batch etc right away. I had been using a freeware program called qbrew, with much success for a few years. It is very basic. 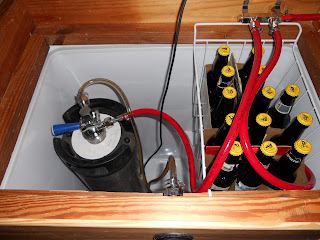 I have recently upgraded to Beersmith2, but am still learning it, so the jury is out. It is far more complicated, but also does a lot more. But really, I have no complaints so far except that I haven't figured out how to customize it so it is just giving me the info I actually want (instead of everything I want and a bunch of other crap). An option for having encoded links for recipes is also on the works. That way you don't need to make a recipe public but are still able to share out with others. There are a lot of neat things that can be done with an online recipe editor. I realize that I'm likely in the minority, but "online" kills it for me. I have no internet access in the "brewery", and spotty access a lot of the time. Ah, the joys of living away from civilization!